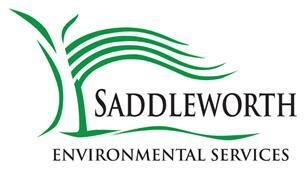 Saddleworth Environmental Services - Asbestos Services based in Diggle, Lancashire. Professional Asbestos Removal with an impeccable safety record. Saddleworth Environmental Services provide a range of professional removal services. The health risks associated with asbestos are usually due to disturbance, for example, the removal of old corrugated roofing panels, old garages walls & roofing, widely used cements and plasters in older buildings, and general 'take for granted' items like pipe lagging, toilet cisterns and the old stick down type plastic floor coverings. In fact, much of the plastics used in everyday items around the home until recently contained asbestos! However, before we all panic and throw away our retro radios, record players and such like, asbestos is really only a threat when you start to disturb it. Saddleworth Environmental Services can check and test your surroundings, using high tech, sampling skills and equipment. Ensuring your space is safe, and if we do locate the presence of asbestos, we safely remove it with the minimum of disruption.